Headcount! 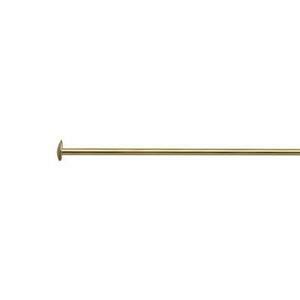 You can Count on our GFHP31.5 - 14/20 Yellow, Gold-Filled 26 Gauge 1.5-Inch Headpins! There’s little, to no waste, with this one-and-a-half-inch pin! Thin enough to slip into the opening of a delicate Fresh-Water Pearl! Try wire-wrapping some on for size with one of our Gold-Filled Footage Chains.